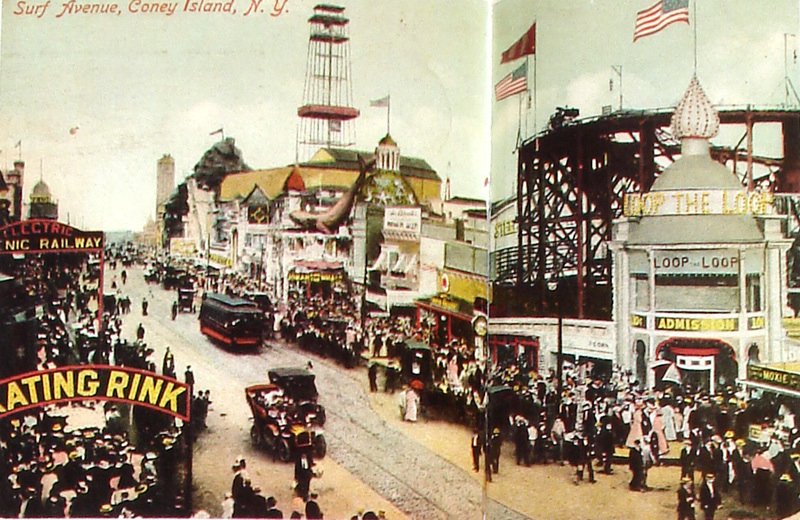 You can see all kinds of fun things to do in this old postcard of Coney Island. 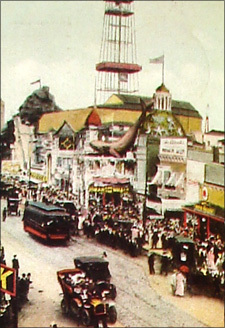 Surf Avenue was the tourist hotspot. In the foreground is also a view of the skating rink. This looks like a postcard from the early 1900's. Look at the length of the ladies dresses. In the background notice the sign that says, "Electric Scenic Railway." 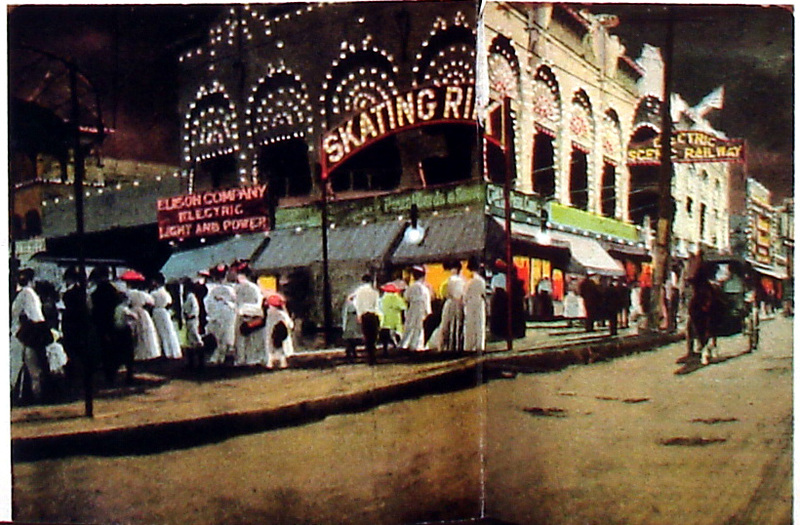 See a picture of the Skating Rink. 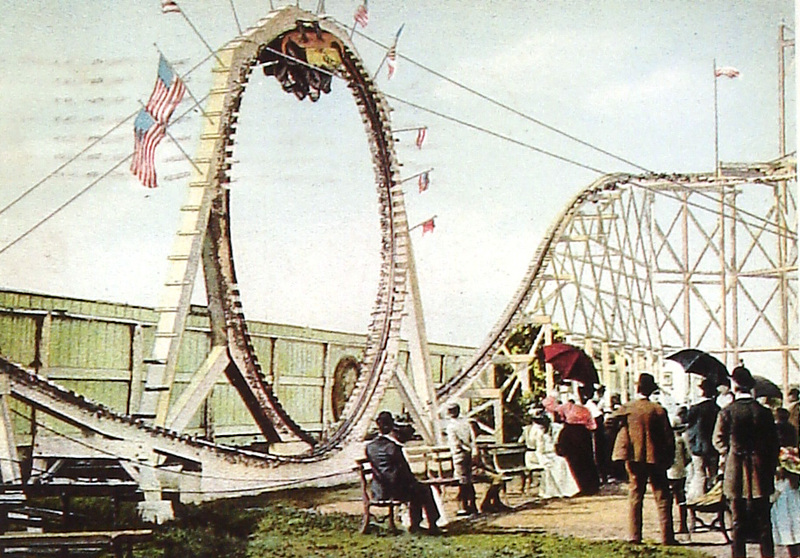 Some rides that they built were so scary, people refused to ride them. This ride was called the Flip Flap. It looks like the original Loop the Loop.